As the first organization to officially establish a hall of fame to recognize women and their contributions to hunting, angling, and wildlife conservation, we are delighted to present these incredible ladies as the inaugural inductees into Wildlife Enthusiast Magazine’s Hall of Fame. If you love to hunt or fish—or just appreciate wildlife and wild spaces—you most likely already know their names and possibly even something about their backgrounds. But whether you do or not, take a few minutes to read through their bios, and you will immediately understand why they have been selected for this high honor. Our industry needs more pioneers, innovators, leaders, and role models like these women. They are making a huge impact on the great outdoors and those who spend time there! Currently living in rural British Columbia, Dr. Winifred “Wini” Kessler’s 40-year career in research, education, and management includes faculty positions at the University of Idaho, Utah State University, and the University of Northern British Columbia (UNBC). At UNBC, Wini championed an innovative and integrated approach to natural resources education that earned her the British Columbia Academic of the Year Award in 1997. 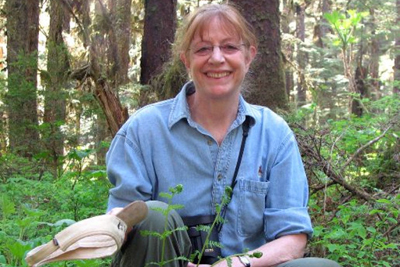 Wini also served 21 years with the U.S. Forest Service in various positions, including the Alaska Regional Ecologist, National Wildlife Ecologist, and Principal Rangeland Ecologist. In 2010, she retired from the Forest Service as the Alaska Regional Director for Wildlife, Fisheries, Ecology, Watershed, and Subsistence Management. A member of the Wildlife Hunting Heritage and Conservation Council, Wini and her colleagues advise the U.S. Secretary of the Interior and Secretary of Agriculture in matters concerning America’s wildlife resources and shooting sports. Her current board positions include Ducks Unlimited Canada, the Ecosystem Management Research Institute, and the Habitat Conservation Trust Foundation, which invests $5-6 million annually in conservation projects throughout British Columbia. Wini is a 22-year Professional Member of the Boone & Crockett Club, serving eight years as the Research and Education Editor for the club’s magazine, Fair Chase. Her education includes bachelor’s and master’s degrees from the University of California at Berkeley and a PhD from Texas A&M University, where in 2002, she was honored with an Outstanding Alumnus Award. 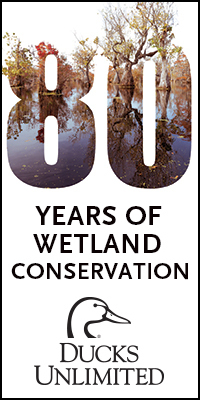 And in 2017, The Wildlife Society presented Wini with the Aldo Leopold Memorial Award, which is recognized as the wildlife profession’s top honor (it has been awarded to just one other woman in its 67-year history). In 2010, B.A.S.S. was forced to eliminate the Women’s Bassmaster Tour from the Bassmaster Tournament Trail for lack of participation. B.A.S.S. said the number of female anglers in the tournaments had been declining since the inception of the tour in 2005. But there was still a lot of interest from women who wanted to fish for bass competitively. 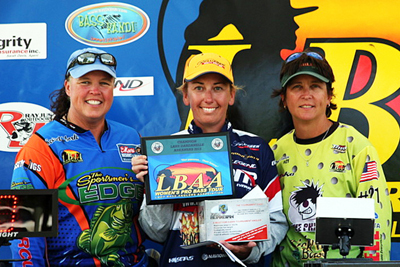 So two professional female anglers, Cheryl Bowden and Secret York, decided the time was right to create the Lady Bass Anglers Association (LBAA). The two women knew it would take a lot of blood, sweat, and tears, but they were determined to make it happen. Secret and Cheryl envisioned an organization that would “provide women with an opportunity to fish professionally, grow the sport of bass fishing, and build a program that will allow future generations of young ladies with more opportunities to compete in the sport of bass fishing.” And so they set off down that path. 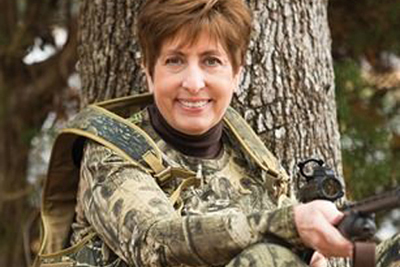 Currently the CEO of the National Wild Turkey Federation (NWTF), Becky Humphries has an impressive background in hunting and wildlife conservation. Becky previously served the NWTF as Vice President of Conservation and Chief Conservation & Operations Officer. Under her leadership, conservation staff identified habitats across the nation with the most immediate conservation needs, now known as “America’s Big Six of Wildlife Conservation.” The department then developed partnerships for the betterment of the most critical wildlife habitats and worked with state chapters to launch management plans that advance the “Save the Habitat. Save the Hunt.” initiative. Before joining the NWTF, Becky’s résumé details more than 40 years of experience in wildlife management and conservation. Previously, she served as the Director of Operations in the Great Lakes/Atlantic Region for Ducks Unlimited, focusing on conservation delivery, policy, and science. Becky also served the Michigan Department of Natural Resources and Environment for 32 years, including seven years as Department Director. Outside of her work with the NWTF, Becky currently serves on the Steering Committee for the Blue Ribbon Panel on Sustaining America’s Fish & Wildlife Resources of the Association of Fish & Wildlife Agencies. She also chairs the Wildlife Health Sub-Committee for the Boone and Crockett Club. In addition, Becky serves on the Council to Advance Hunting & Shooting Sports and the Wildlife Hunting Heritage Conservation Council.